Learning The Art Of Genuinely Reading And Enjoying Books You Like. If you are reading this, you are a reader. By today’s standards, when most programmers do not read books, you can even call yourself a vicarious reader. Chances are that you like to snuggle up in your bed and skim through the crisp pages of a book as leisurely moments glide by. 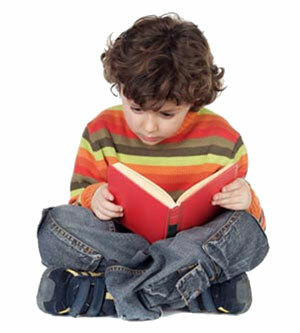 Books are fun, books are entertaining, books happen to be the source of food for your hungry, possibly hyperactive mind. You love your books so much so that somewhere deep in your mind you actually believe that your books love you back. You even visit the local bookstore during weekends and spend time reading stuff there. And then you bump across a new book full of new ideas. You are holding it in your hands, snuggling up on a couch and skimming through it. Glancing through it. Hunting for ideas you can take home or ideas you can carry to work and put to use Monday morning. You are moving fast. You are sucking in information like a sponge. That is not real reading. Real reading is when you are reading slow, real reading is when you sit with a pencil and circle paragraphs as you read them. Real reading is when you are in crazy war with the book. There is something depressing about seeing one of my books high on an office shelf, in perfect condition, covered in a layer of dust. I’m thrilled they were purchased of course, but there’s sadness there too. Some people keep their favorite books in great condition, and that’s awesome. It’s an act of great respect. But I admit I love seeing one of books all dog eared, with tabs, post-it notes, or even coffee-stains all over the place. That’s a book that has lived and has spent long hours in use. It’s been lent to many people, traveled in buses and planes, and read by many sets of eyes. Real reading is when you appreciate the well knit articulate stream of words effortlessly brought together to create equally coherent stream thoughts in your brain. Real reading is when you get so excited about a paragraph that you have to take notes on the margins, a notebook or a piece of paper, right then. Real reading is when you are not reading a book to finish it, but for the pleasure that you get out of reading it. Real reading is when your are reading is not just supposed to make you a better reader, but a better writer. Real reading is hard. Real reading is slow. Real reading is fun. So, what did you read this weekend?